If you have been looking for network to switch to for cheaper data plans then we have it here, a lot of free data have been given from different network providers and we going to be discussing that here. Recently, Glo changes all data plans list and it seems not to favour users, MTN has good network though but they have expensive data plans. 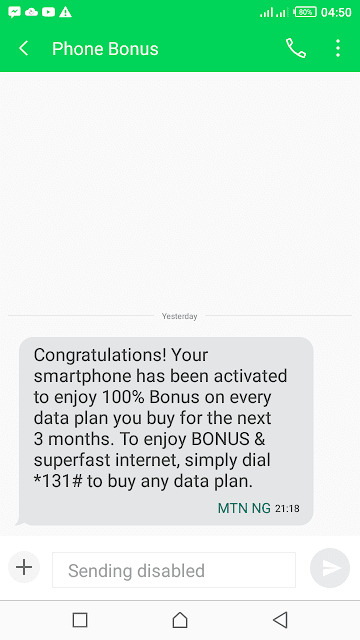 Last month was taken over by Airtel and 9mobile with their cheaper and free data, we posted here how to port to Airtel for cheaper data and also 9mobile with many free data bonuses offers. Just about 2 days we posted 9mobile heavyweight awoof and calling bonuses offer, hope you have read about it. Here we have 4 strong network providers in Nigeria and they all have their data plans released early this year, some of these offer works with Android, iPhone, tablets, PC while some are restricted to particular device. This offer is specially designed for both existing or new subscribers using 9mobile network but it based on eligibility. To verify your eligibility, simply dial *929*10# without having any credit (0.0KB) on your phone, you’ll receive an SMS saying “You have insufficient balance….“ but if otherwise, kindly note that you aren’t eligible to activate the offer. To activate the special bonus offer, dial *929*10# and enjoy your specially designed bonus that will definitely suite and help you cut off half of your bills. Valid for 3 days. This bonus is mainly constructed for the old dormant customers on the network or who might have probably moved to other networks. So, kindly look for your MTN SIM that has been dormant for over 45 days i.e the SIM must have not been used for calls, browsing or any chargeable activity for 45 days and above. 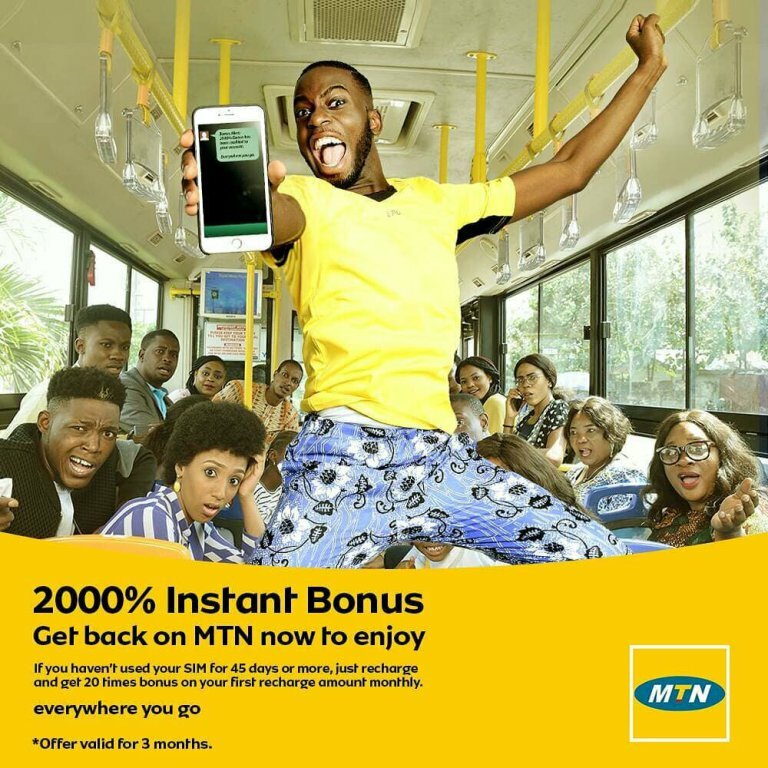 Then, recharges from N100 or above will give you 20 times value of your recharge for the next 3 months. Assuming, you recharged N100, you’ll get N2,000, recharge of N200 gives N4,000, recharge of N400 gives 6,000 and so on. The money recharged won’t be touched, the 500% will be used for calls and 1500% will be used for data. You can check your bonus by dialing *559*65# and that’s all. Till date I have not seen any network in Nigeria that offers the volume of that data for N500 except Glo but speed matters. Airtel offers enough speed for almost all locations in Nigeria unlike Globacom. Moreover, the data works for all devices you can think of that has internet access. To activate the data bonus, you need to freely migrate to Airtel SmartTrybe by dialling *312# and select option 1 to migrate successfully. After successful migration, dial *312# again and select option 2 to activate the N500 for 1GB data bonus offer. Airtel offers enough data for their customers. This bonus offer are mainly designed for those on the network using 4G supported device. To activate, visit any nearest Airtel experience centre and swap your old Airtel SIM to 4G LTE supported SIM or simply get a new 4G LTE SIM. Insert it into your 4G enabled phone and browse till stupor. Remember to check your 4GB data bonus before browsing by dialing *140# and voila! Enjoy. This offer based on eligibility but once eligible, you would feel like the world is certainly revolving in your hands. The amazing doubling of data will will put a smile on your face. 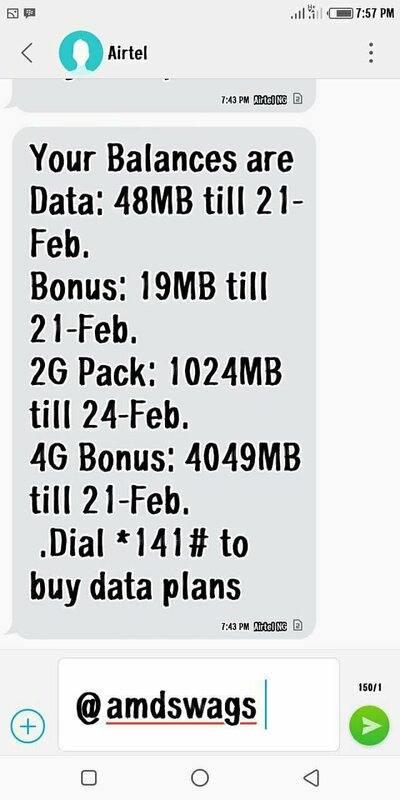 To activate, dial *144# and a list of data plans you will buy for the doubling of data will appear, kindly purchase those applicable data plans and it will be doubled immediately. You can check your data balance by dialing *140# and note that once activated, the offer will valid for 6 months and your data purchased will expire depending on the type of plan you bought. MTN double double data also based on eligibility. The official way to get the double data, is when you get a new MTN SIM but there is another simple way to activate it without the hassle of getting or purchasing a new SIM card. To activate, send DOUBLE, PROMO and FREE to 131 as SMS and wait for the three replies to hit your inbox. After that, dial *131# and purchase any data plans from the list, and finally, check your doubled data by dialing *131*4# and that’s all. This doesn’t base on eligibility but on tariff plan. Morecliq tariff plan users are the only people that are meant to enjoy the offer and to migrate to 9mobile Morecliq tariff plan, simply dial *244*1# and voila! You are welcome to the tariff. Then, to activate 9mobile double data offer, simply dial *545# and activate the 100% double data offer. Now, dial *200# and buy a data plan from 9mobile, you’ll see that the data will be doubled to X2 of the data you purchased. Enjoy the data with the speed! Glo double data doesn’t based on eligibility or tariff plan but can be enjoyed by all new and existing subscribers on the network because it’s attached to their plan. To activate, dial *777# to purchase a data plan from Glo, the next auto-renewal will double data. Simply, dial *127*0# to check your double data and enjoy! This bonus works based on eligibility for old and new subscribers on the network. Once you receive the eligibility message, saying; “Enjoy Airtel 6GB Monthly Data Plan for N1500. Simply Dial *440*161# NOW to activate this Amazing Offer!….,” simply dial this code *440*161# without having credit on your phone and if it says “insufficient credit”, it means you are eligible but if it says otherwise, kindly know you are not eligible. 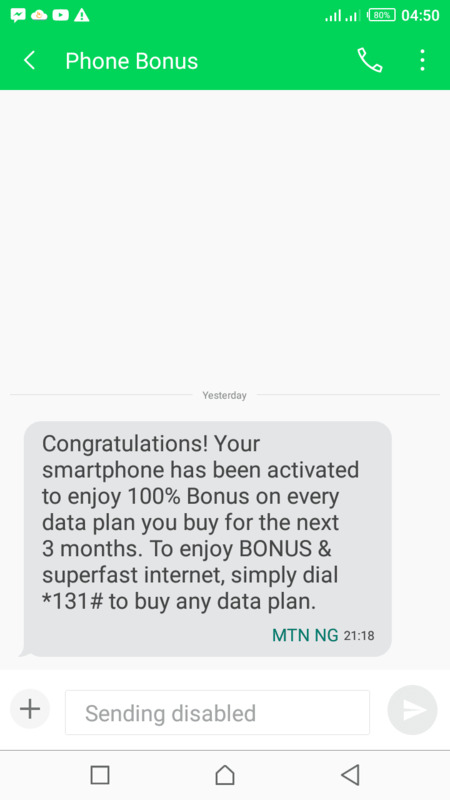 If you are eligible, dial *440*161# to activate the bonus offer from Airtel and also dial *140# to check your data bonus but note that it zaps. 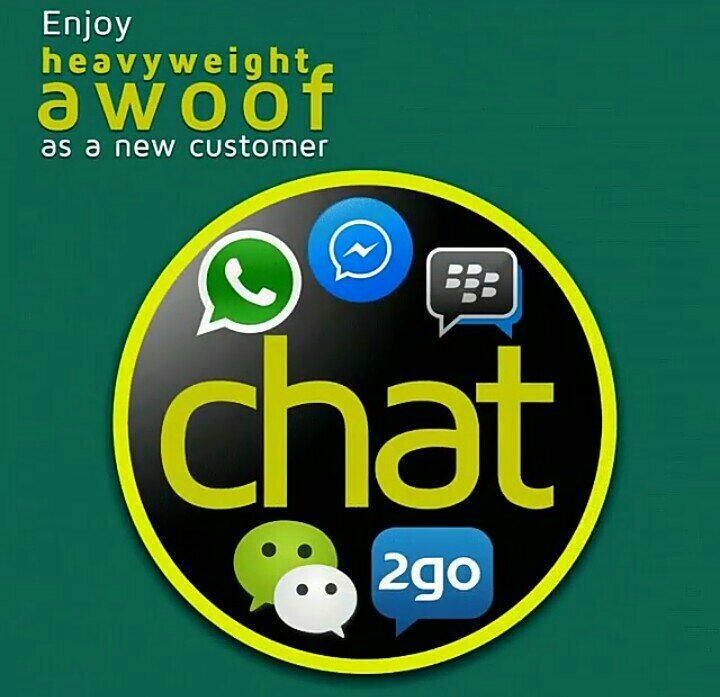 The awoof is mainly for new subscribers on the network with assurance to get heavyweight bonuses on their new SIM. 9mobile heavyweight Awoof offers 250% airtime bonus, free 1.5GB data, free weekly chat pak and N500 for 1GB. Customers using the 9mobile heavyweight SIM will get 250% bonus on all recharges for 90 days for calls to other networks and to 9mobile network. Recharge up to N500 in a week and enjoy free weekly chat pak to all social media. 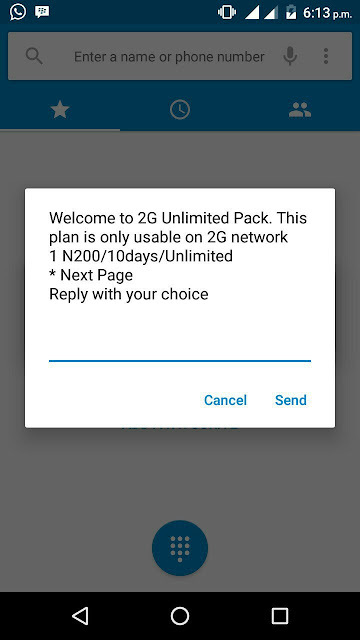 You can purchase N500 for 1GB for the first 30 days. Lastly, you will get 1.5GB on first recharge of N500, first recharge of N200 will give 1GB and N100 first recharge will give 500MB data. Just visit any 9mobile experience centre and get the heavyweight Awoof SIM to enjoy all the benefits aforementioned. 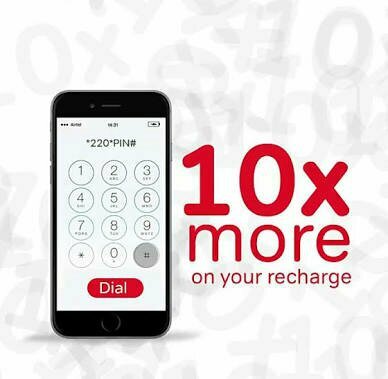 This offer gives 10 times more of your recharges for voice and data. 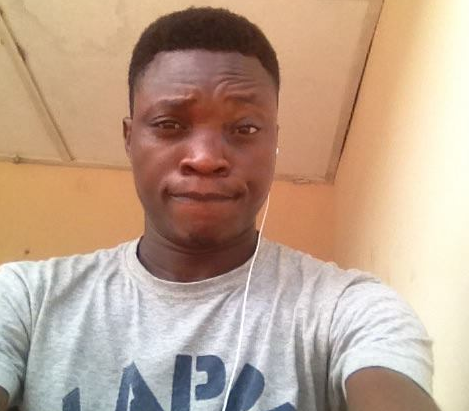 Recharge of 200 naira gives 1000 naira for calls and 1000 naira for data. 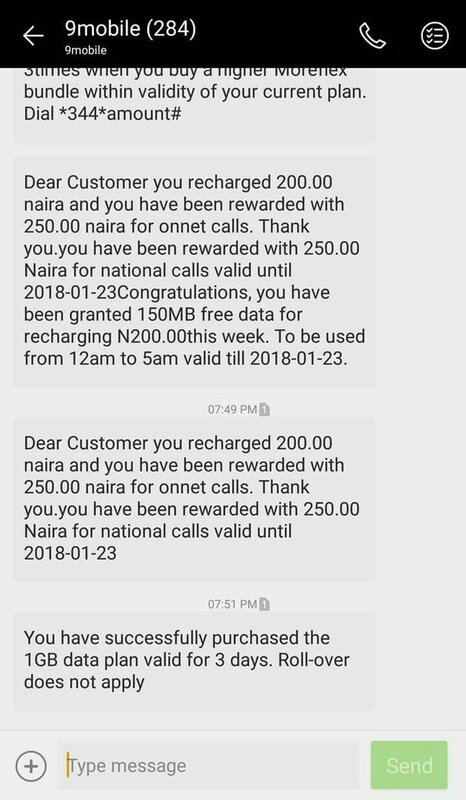 Recharge of 500 naira gives 2000 naira for calls and 3000 naira for data plus extra 3000 naira for data. While 1000 naira gives you 2500 naira for calls and 7500 naira for data plus extra 7500 naira for data. To activate, recharge your line using *220*Recharge PIN# and enjoy! These plans are specially designed for 2G users. Yes, is slow but very cheap and affordable. To activate, dial *482# and select 1 to subscribe for the 2GB for N200 that valid for 10 days. The second 2G plan is N500 for 6GB and can be activated by dialing *482# and select 2 to subscribe. Now, go to settings >> mobile networks and set preferred network to 2G and enjoy your surfing. These networks has the cheapest and affordable night plans that will enable you enjoy uninterrupted internet access in the midnight. To activate MTN night plan, simply send NIGHT to 131 and you are done activating the night plan, it costs just N25 only and valid from 12pm to 4am. 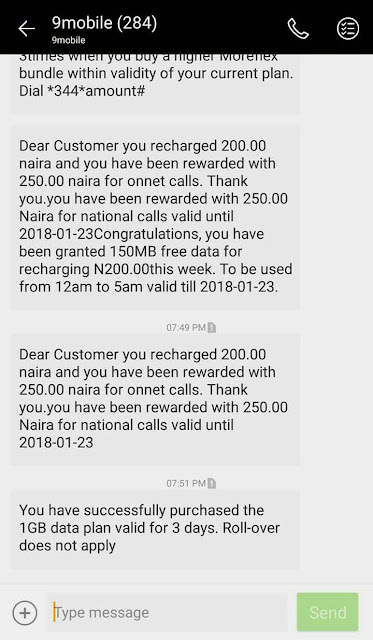 To activate Airtel night plan, migrate to Airtel smartTrybe by dialling *312# and select 1 option, then dial *312# again and select option 3 (Trybe Night Browsing) and select from the N25 for 500MB valid from 12am to 5am and the N200 gives 1.5GB data valid from 12am to 5am.